Stainless steel bulb planter with long T Bar ash handle. 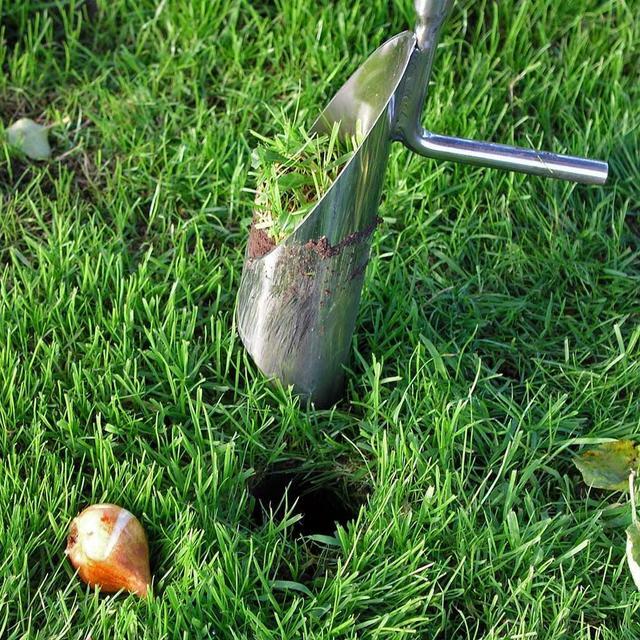 If you want to plant bulbs in the lawn, or the borders, this bulb planter is highly recommended. 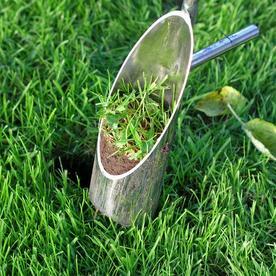 Tried and tested, it is the best bulb planter we have ever used. 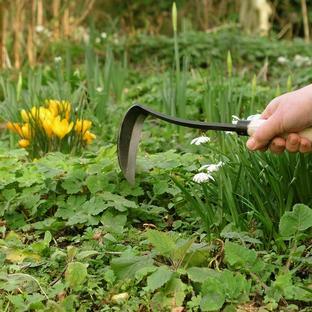 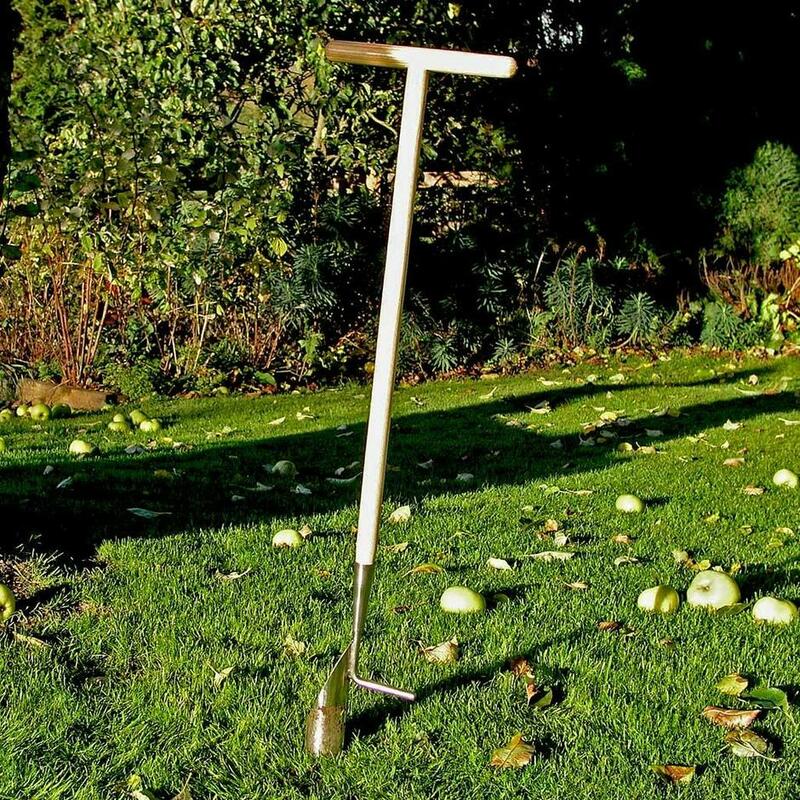 The stainless steel angled blade cuts through turf or compacted soil extremely easily, and the tough foot bar allows you to push the blade firmly into the soil. 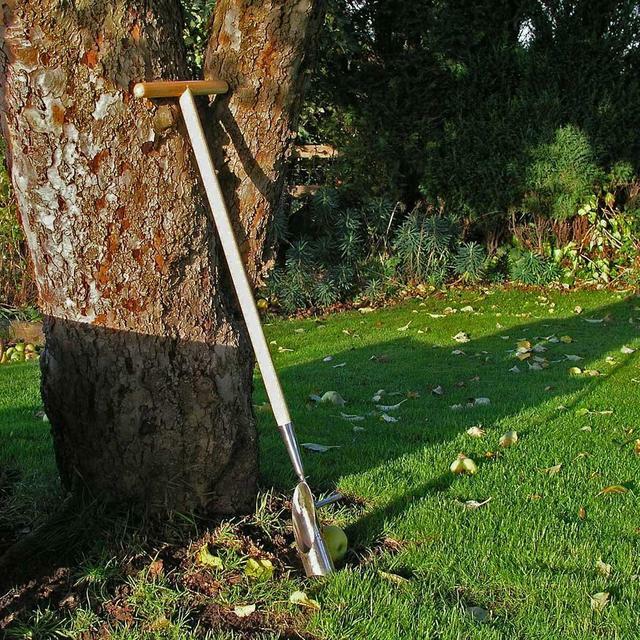 The long handle is made from polished ash for comfort and longevity. 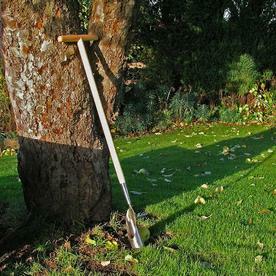 To use, press firmly on the foot bar, pushing the planter into the soil. Then lift out the sod/plug that will come away with the planter tube, drop the bulb into the hole, and replace the soil back on top. For smaller gardens, the hand-held bulb planter is extremely efficient. 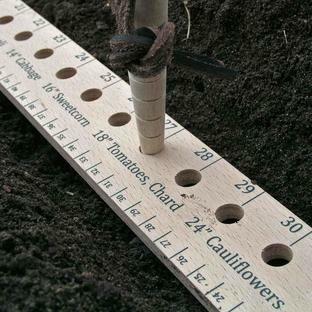 Tip: The planter blade is sharp, so mind your fingers when clearing the soil out of the tube. You might find a cricket stump or similarly sized piece of wood useful the clear the plug from tube.